Regional Capitals Australia (RCA) has today called on the Australian Government and Opposition to put the needs of those living in regional cities front and centre in the Federal Budget and Opposition reply. 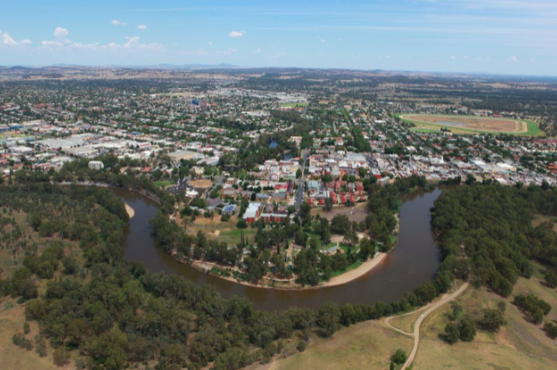 Regional Capitals Australia Chair, Mayor Samantha McIntosh, said that the alliance had put a clear view to Canberra that regional capital cities needed to be connected, liveable, and productive if Australia was going to grow successfully. “In our pre-budget submission we have included fundamental investments that will allow our cities to grow and continue to be strong service centres for those living in the smaller towns that surround our cities,” said Cr McIntosh. The establishment of an accelerated decentralisation program to enable the Australian Public Service to move staff into regional capital cities. In the lead up to this year’s budget, Regional Capitals Australia has met with the offices of Treasurer Josh Frydenburg, Minister for Cities and Population Alan Tudge, Deputy Prime Minister Michael McCormack and Minister for Regional Services and Decentralisation Bridget McKenzie. “The Ministers have been very receptive,” said Cr McIntosh. Regional Capitals Australia has also met with the offices of Shadow Minister for Infrastructure, Transport, Cities and Regional Development Anthony Albanese and Shadow Minister for Regional Communications and Services Stephen Jones. RCA has highlighted the importance of continuing to invest in regional cities and will continue to work with Ministers and Shadow Ministers in the lead up to the federal election.